Distributed order fulfillment supports cross-channel sales. 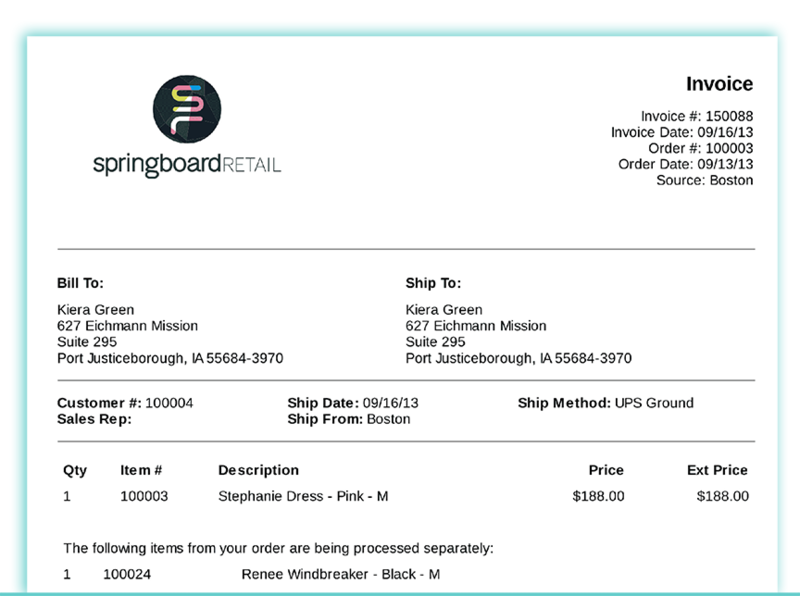 Facilitate web, phone, mobile and store orders quickly and accurately with Springboard's order management system. Optimize your inventory by making it available to your customers wherever and however they choose to shop with you. Boost efficiency. Create, manage and view your orders across all your channels. Save the sale. 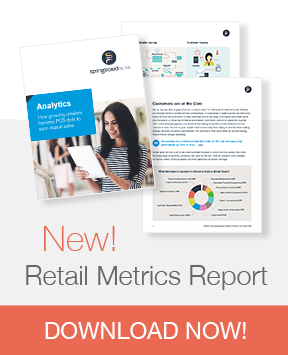 Access your inventory across all stores with real-time updates. Distribute orders effortlessly with dashboard alerts — and split shipments easily. Improve sell-through and empower your team to delight customers everyday. Distributed retail sales order management makes it easy to source items from all channels. Out of stock in one store but available to sell in another? The cornerstone of great customer service is solving problems, delighting shoppers with what they want, when they want it. Change the game for your sales team, access your inventory across all your stores and warehouses — and enjoy real-time visibility. With Springboard Retail's OMS system, customers can place an order in one store that can be fulfilled in another location for direct shipment or held for pickup. Fillable orders immediately show up as alerts on the store’s dashboard so orders ship out fast. Want to learn more? "We chose Springboard's retail management system because it’s powerful enough to meet our demands for multi-store inventory management and reporting requirements, but also easy-to-use." Springboard's order management tools are designed to boost productivity and facilitate cross-channel selling. Access inventory from any location, easily create special orders and layaways, and ensure that your team provides an exceptional customer experience. See a complete list of our POS and retail management features. Avoid the pitfall of dead stock, open up your inventory across all channels and improve sell through. Real-time updates ensure you are never oversold and dashboard alerts safeguard orders from being overlooked. Need to send part of an order to one store and another part to another store? Easy! You can distribute each order at the line level, allowing you to split up pieces of the order for fulfillment in whichever location has the inventory. Don't have an item on hand? No problem. We make it easy to take a special order, generate a PO, or pre-order items. Streamline management and keep customers coming back.